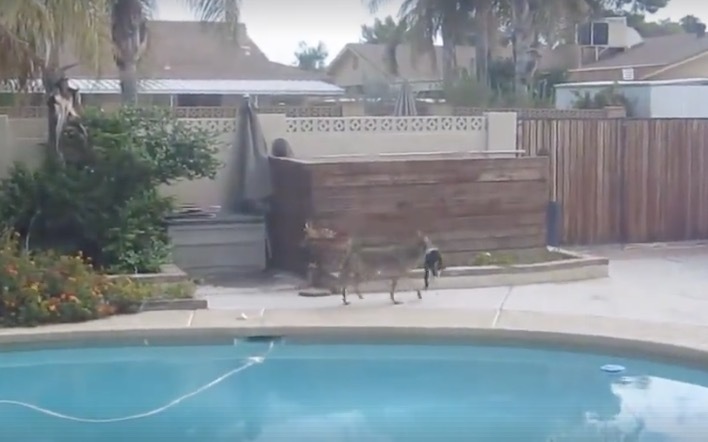 Here is a really disturbing video of a coyote running through a backyard and leaping over a six foot wall with a dead cat in its mouth. The video is extremely graphic and not for the faint of heart. That said, it is important to educate the public about these dangers. Pet cats should never be allowed outside unless on a leash or in a catio. They don’t know ‘Fluffy’ is your pet cat and they don’t know that ‘Bitzy’ is your pet dog. All they know is there is an easy meal standing right in front of them. Diligence is your best chance to keep your pet and possibly your child safe from harm by a wild coyote in areas where they exist so close to people. If you live in Los Angeles, email us at info@customcatios.com to learn more about our catio offerings.